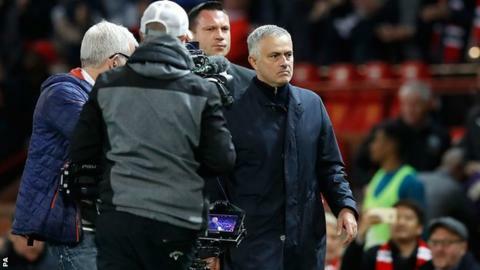 Manchester United are "vigorously contesting" a Football Association charge against manager Jose Mourinho, for comments he made in Portuguese to a television camera after his side's win over Newcastle on 6 October. It is claimed he used "abusive, insulting or improper language" after the 3-2 comeback win at Old Trafford. The FA used a lip reader and the 55-year-old's remarks were interpreted as offensive.